Are you ready to dispel the curse of Rahima? Three magicians are going to fix this! 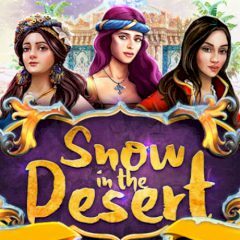 Evil magician Rahima has covered the desert with snow and due to the terrible curse it cannot be undone by nature. Lets help three girls to find the way out of this!